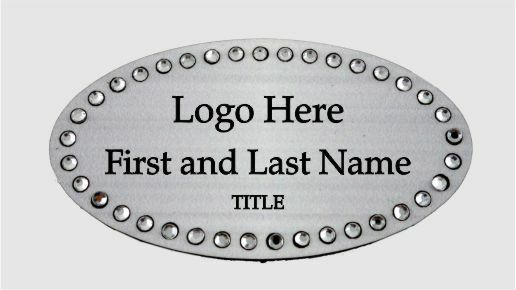 Place your order and a layout will be emailed to you to proof within 24-48 business hours before producing! 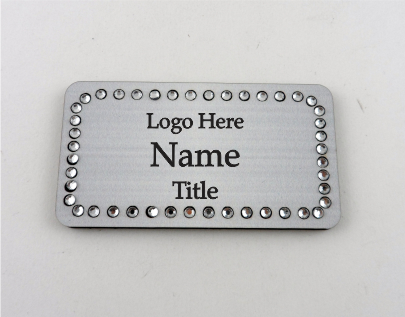 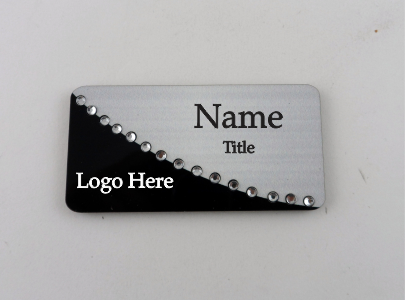 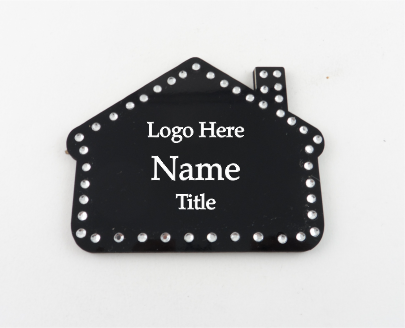 Two Tone Swing Bling Name Badge with your Choice of Badge Colors and Rhinestone Colors. 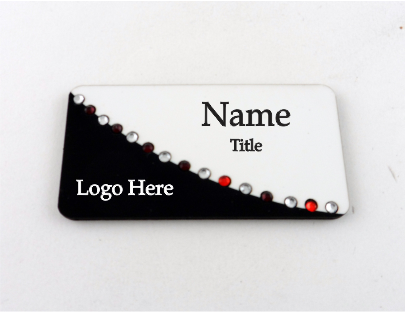 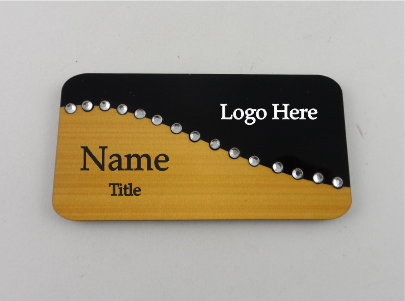 Two Tone Swirl Bling Name Badge with your Choice of Badge Colors and Rhinestone Colors. 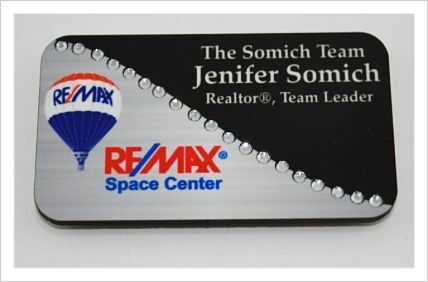 Two Tone Swing w/Alternating Rhinestone Colors with magnet backing.